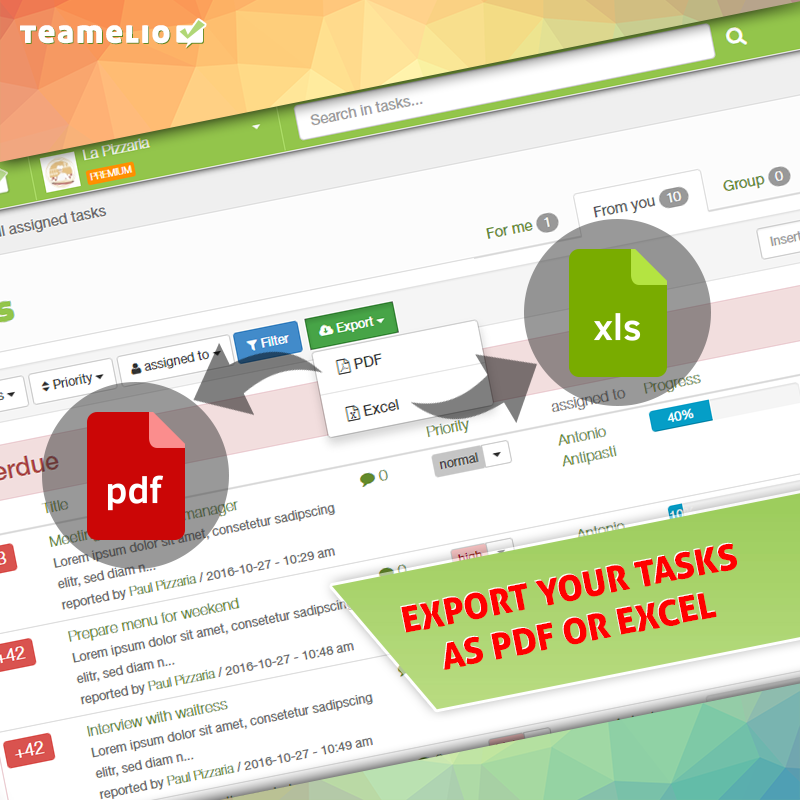 Download your task lists now as documents! Introducing first Export as PDF or Excel – more to come. ? teamelio unveils small and handy enhancements since yesterday! In this blog the people behind teamelio (willy, basti, alfonz and erik (more in About Us)) want to establish a platform where all information around teamelio can be shared and kept up-to-date. We will inform, listen, react and improve everything dealing with our project. A big step is done now with https://www.teamelio.com and we are excited about a thrilling future. teamelio at a new guise! After the beta version of teamelio has been online for quite some time now and as it becomes more and more popular, it is time to initiate the next step towards a better and updated version. As of today, teamelio is online in a revised and updated version. We improved usability and application performance as well as the overall functionality. We also introduced the first mobile version.